CHICAGO (WLS) -- A Chicago man is accused of holding dog fights at his home in the 6300-block of S. Throop on the city's South Side. 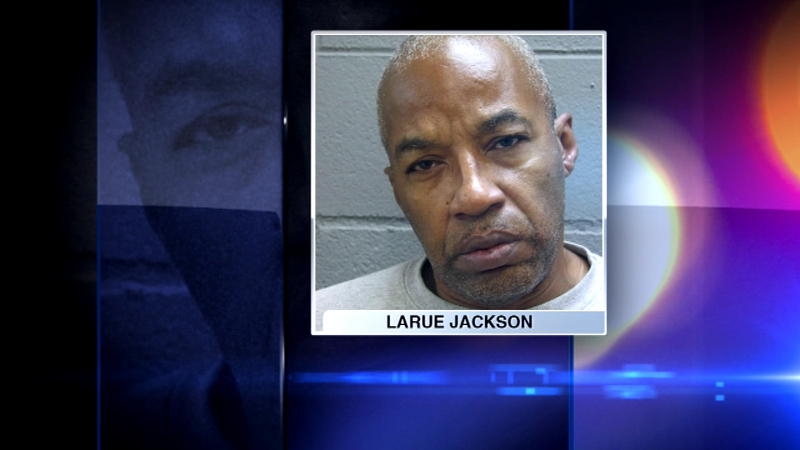 Larue Jackson, 57, was arrested Friday. Cook County sheriff's deputies found 13 dogs inside his home, and 12 of them did not have food or water. They also found items indicative of dog fighting, including fighting ledgers. One dog was also found dead in the backyard. "Horrible smells, blood, you got it, the drugs that were used, the sticks that were used to pry the dogs apart. And then the training parts of it as well, which were beyond inhumane, as well," Cook County Sheriff Tom Dart said. The sheriff's department executed a search warrant at his home following an investigation. Jackson is charged with dog fighting and failing to take care of animals. The dogs are now in the care of Animal Control.